4. Go to ACP -> Configuration -> Favicon. 6. 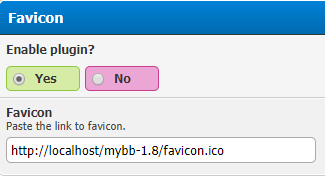 Paste the link to favicon.